The history of the car concern KIA begins in the distant year one thousand nine hundred and forty-four, and it begins with the usual workshop for the manufacture of bicycle parts. Then she started to produce bicycles and motor scooters, and in 1962 she assembled 3 wheeled trucks "K-360". The automobile company Kia Motors, formed in 1971, was a joint stock company, whose shares were distributed between the government of the country and various South Korean and foreign firms. A 10% stake belonged to the American concern Ford and the Japanese automaker Mazda, 5-10% each had Samsung, Hyundai and Itoh. 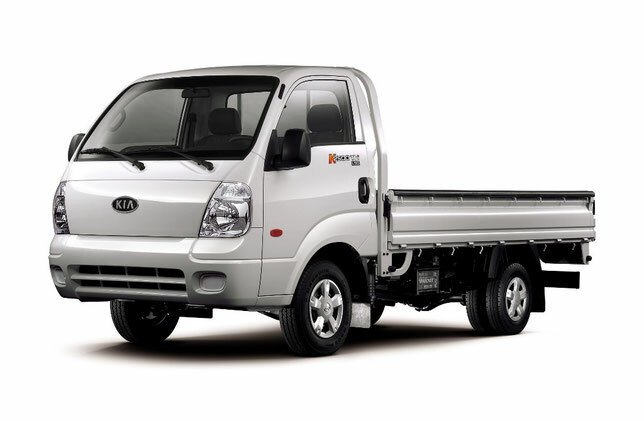 Since 1976, the "Kia" group includes Asia, which specializes in lightweight 4x4 passenger and cargo vehicles. The first Kia cars in 1973 were pick-ups and light vans Titan and Boxer, manufactured under license from Mazda at a new plant in Sohari. Since the early 80's. "Kia" collected light vans "Bongo" (Bongo), similar to the Japanese "E2000", and by the mid-90's. The share of imported parts in different models was 5-20%. In the late 80's. The production of the Besta HW2200 series (Besta) with a load capacity of 1.25 tons with a wheelbase of 2,400 mm started to be delivered to European countries. Like the Japanese analog "E2200", they were equipped with a 4-cylinder 2.2-liter diesel engine in 70 hp, 4 or 5-speed gearbox, front torsion suspension, power steering, front disc brakes and Bearing an all-metal body with a capacity of 5.2 m3. The variant "Hi-Best VN2700" (Hi-Besta) had a more powerful motor (2665 cm3, 80 hp) and was offered in the 4 × 4 version. In the early 90's. On aggregates "Besta" have created light on-board cars "Ceres" (4 × 2/4 × 4) and "K2400" (4 × 2) frame structure with a gross weight of 2.5-3.6 tons with new cabins for 3- 6 seats and new diesels (2209 and 2367 cm3, 72-80 hp), spring or torsion suspension and drum brakes. The model "K2400" is sold mainly in Korea, where it is called "Wide Bongo" (Wide Bongo). Since 1996, the place of "Best" was occupied by a van "Pregio" (Pregio) with a wheelbase of 2580 mm. Carrying capacity of 1.4-1.5 tons and a gross weight of 3 tons. He received the previous diesel (2.7 liters, 83 hp), 5-speed gearbox, front disc ventilated brakes and a new more modern and safe body with a capacity of 5.7 m3. 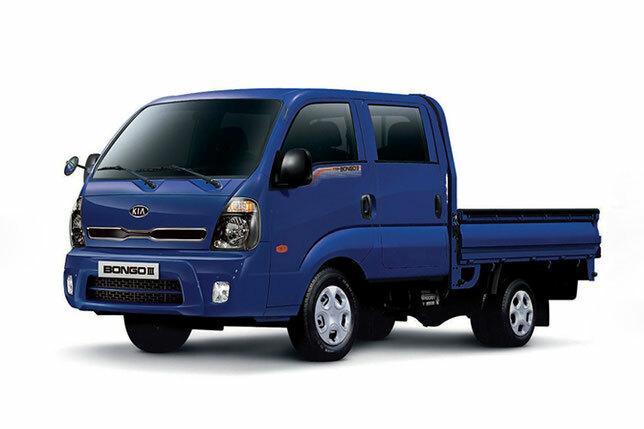 Its variants are the 1.25-ton Bongo pickup truck, and since 1998 - the K2700 flatbed truck with a payload of 1.2 tons, a new long cab and a limited-slip differential. The production of heavier Kia trucks began in the 1980s. With a diesel 2,5-ton "K3500" series (3.5 liters, 105 hp). In the early 90's. It was replaced by models "K3600" and "K3600S" with a carrying capacity of 2.5-3.5 tons with an upgraded engine (3581 cm3, 102 hp), known in South Korea as "Jumbo Titan" (Jumbo Titan) and "Trade". For the local market, Lightweight minivans "Towner" with the carrying capacity of 800 kg are produced, medium "Pamaks" (Raglach) and heavy trucks "Rhino" (full weight up to 20 tons). By the mid-90's. 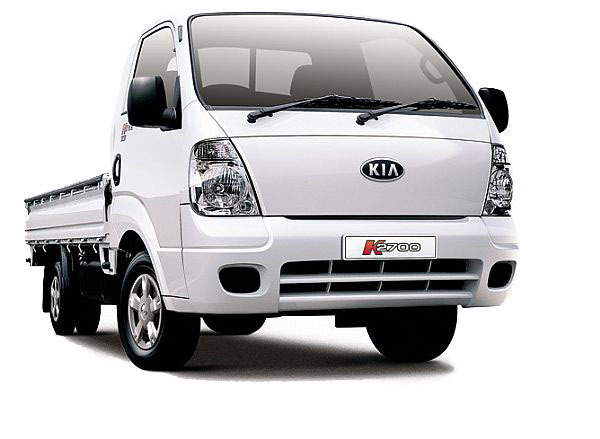 At the enterprises of the concern "Kia", more than 50 thousand people were employed, including 29.4 thousand people in the automobile sector, who annually collected up to 180 thousand light trucks. The economic crisis that erupted in Korea in late 1997 put Kia on the verge of bankruptcy. Nevertheless, at the Tokyo Motor Show in the fall of 1997, she introduced the first Korean minivan Carnival with 126-165 horsepower engines, which since 2000 has been offered as a van. October 19, 1998, the company "Kia" bought the largest South Korean automobile company Hyundai (look: Hyundai truck PDF Manuals), which has preserved the brands "Kia" and "Asia".